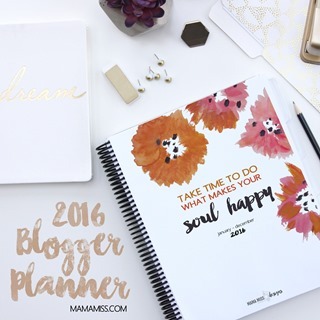 Hey there planner people – The 2016 Blogger Planner, Calendar, and Menu Planner is HERE! And, it’s the BEST one yet! Have you noticed – it’s on a fancy new site?! From here on out this new site will house all my “design stuff” – the planners, books, mockups, etc. – YAY!! I got all fancy-pancy on ya & it looks sooooo much nicer! 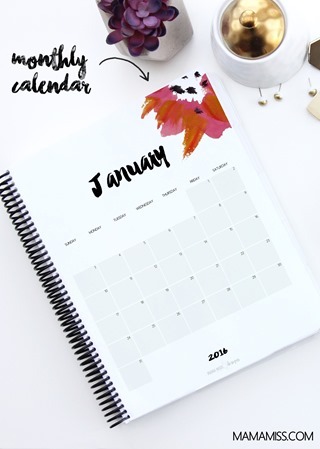 a vertical layout, dimensions of 8.5”×11” (Standard Letter Size) or the ALL NEW – A5 Size (5.8” x 8.3”)!!! This is an amazing year, friends – I’ve added NINETEEN additional forms!!! what?! what?! Yessiree Bob – 19 additional pages (& 6 updated and revised pages)! I’ve also PAINTED all the images this year (I’m super excited!) – check out my inspirational moment I shared here on Instagram. 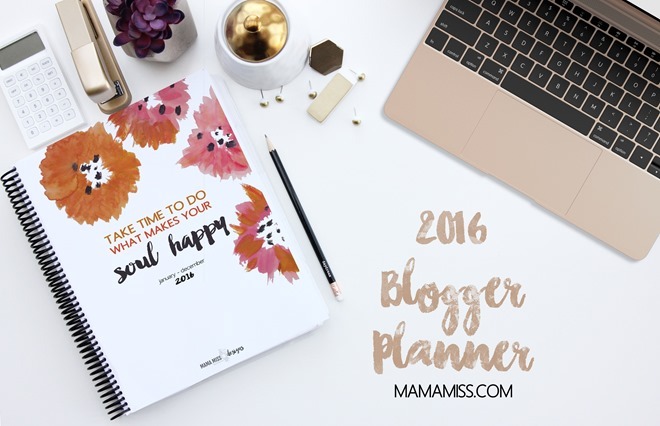 See what’s included in the blogger planner here. See what’s included in the day planner here. 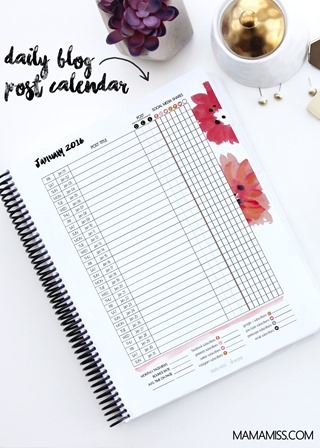 See what’s included in the menu planner here. 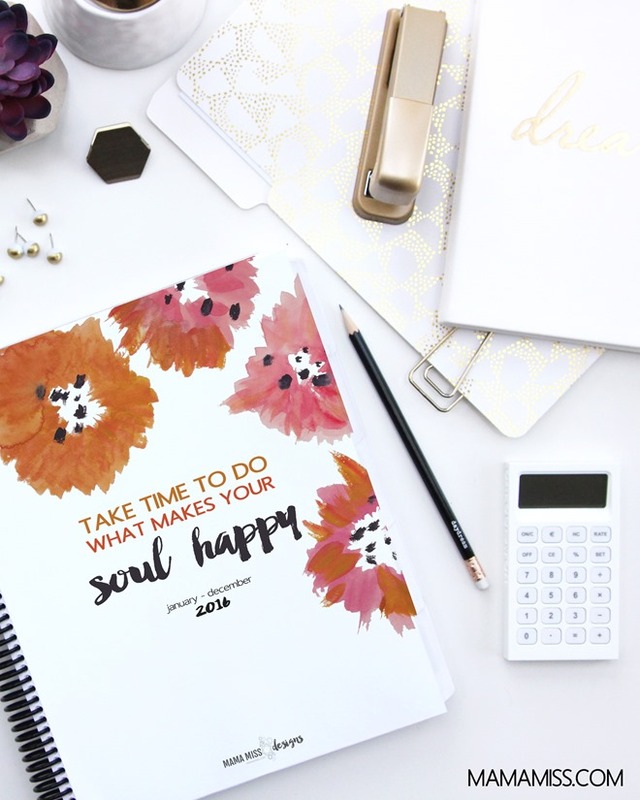 Here’s some tips to make the best planner ever – things I used & what you’ll need to create this at home (please note, the directions for step by step completion are included in a full flipbook, in the individual downloads). Pen Loop – you can also get it in Yellow , Green , Emerald , Navy , Red , Orange , Pink , and Black . **ps – I describe it in a little more detail, including the clear cover in the back, here. **pps – I printed mine at home on the Staples paper I recommend above in the post, then once printed I had it spiral bound with a clear front cover & black back page, with the white tabs included in the binding and an extra clear cover over the last page, like shown in the picture, at Staples. I then labeled the tabs, with my label maker according to the specific section.